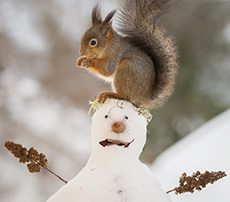 A gentle tale of the coming of winter in the forest. 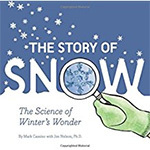 Written by a scientist who has extensively studied snowflakes. Curt Meine and Keefe Keeley, eds. Readings and illustrations from the region’s Native people, explorers, scientists, farmers, journalists, poets and artists, including Black Hawk, Laura Ingalls Wilder, Frank Lloyd Wright, Aldo Leopold and David Rhodes. It’s time again for the Northwest Illinois Audubon Society to participate in the annual Christmas Bird Count. You might want to be part of this count with a family member by being a feeder counter. You need to be sure your bird feeder is within the official count circle, a 15-mile diameter circle with Read Park in Freeport as the center. On the count day, Saturday, December 16th, simply watch your feeder for four hours and record the largest number of each species present at any one moment. For more information, check out our newsletter on this website or when it arrives in your mailbox. 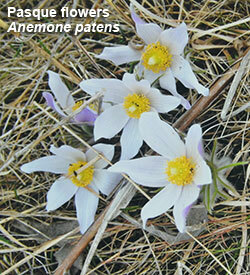 You can become a citizen scientist! The Blue Jay is a common large songbird that has a perky crest on top of the head. It is seen year-round in the Midwest and is often seen at feeders, although it prefers tray feeders rather than hanging feeders. 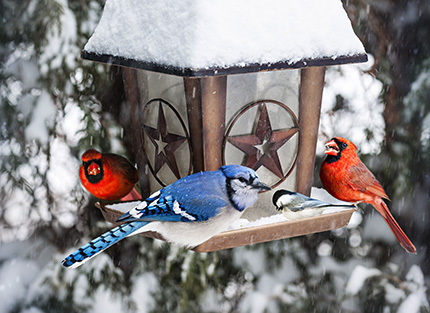 If you join the Christmas bird feeder count, you might even see one or more of these beautiful blue birds. It has blue, white and black plumage and very noisy calls! The Blue Jay is very fond of acorns and because of this, many people think it has helped to spread the growth of oak trees! 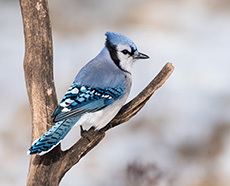 The Blue Jay has a long tail and a white underside. The diet of the Blue Jay is mostly insects and nuts. If you feed birds, offer nuts, sunflower seeds and suet to attract the Blue Jay. The crest on the head of the Blue Jay is almost always up when the bird squawks or is upset and showing aggression. 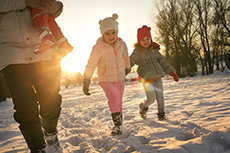 Take a winter walk around the yard, around the neighborhood, at a park or nature preserve. 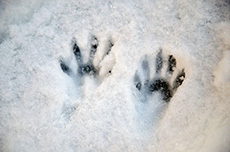 For very young children: hide stuffed animals in the yard and go on a safari to hunt for them; along the way, note real animals, birds, and signs of winter. Afterwards, go in and have hot chocolate and talk about what you saw. 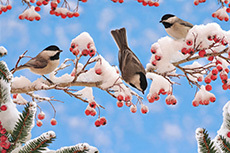 Talk about birds like the chickadee and cardinal who stick around all winter; perhaps you can cut out pictures of some of these and paste onto construction paper to make a little book.